4th and 5th grades will be taking their STAAR tests this week. 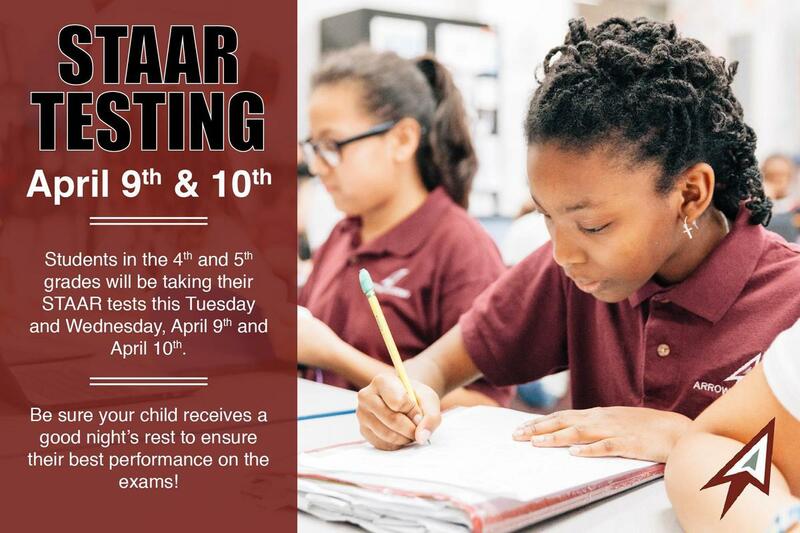 Testing will take place on April 9th and April 10th. Campus will be closed to visitors on testing days.Make sure your student is well rested prior to the exam to ensure their best performance!